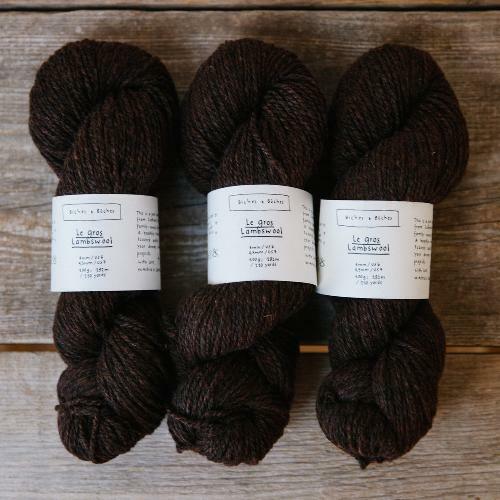 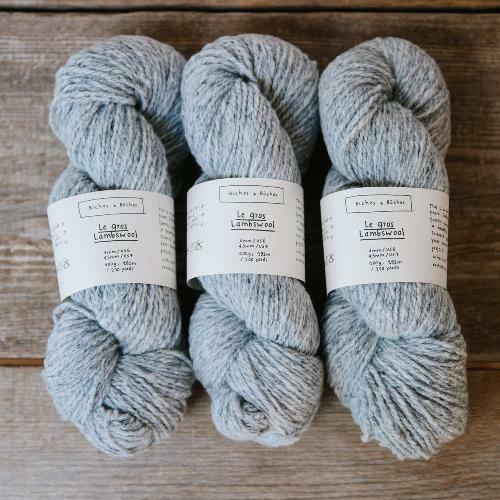 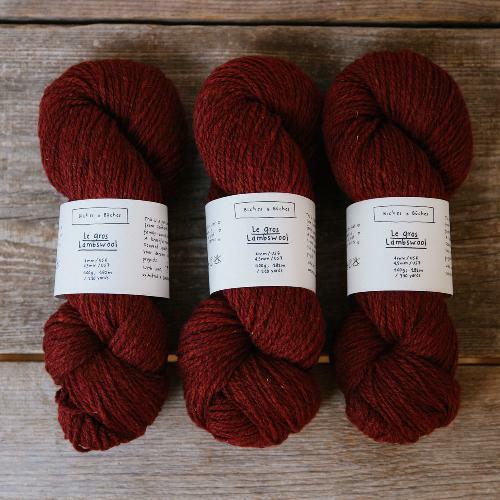 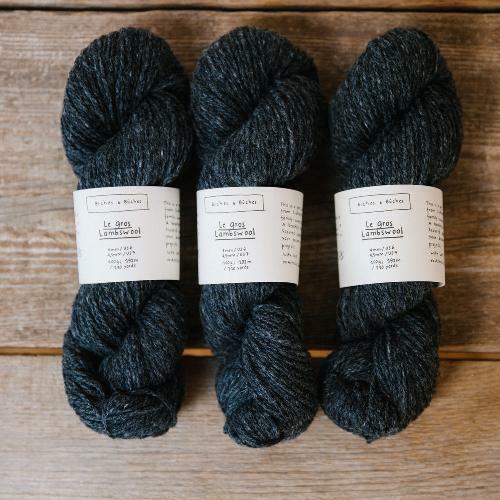 Le Gros Lambswool is a pure lambswool from a family-owned fiber mill in scotland. 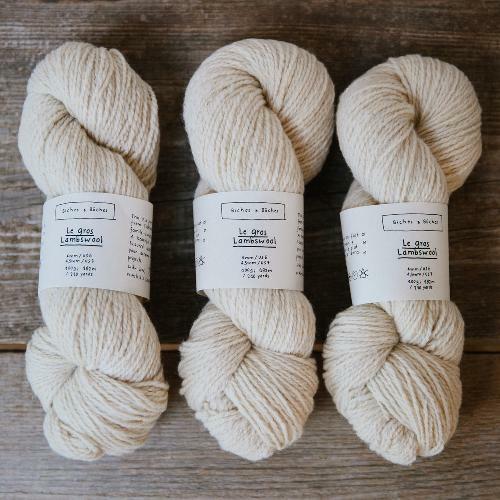 the wool is rustic and soft at the same time, it is sturdy, and the bands are handwritten by caroline. 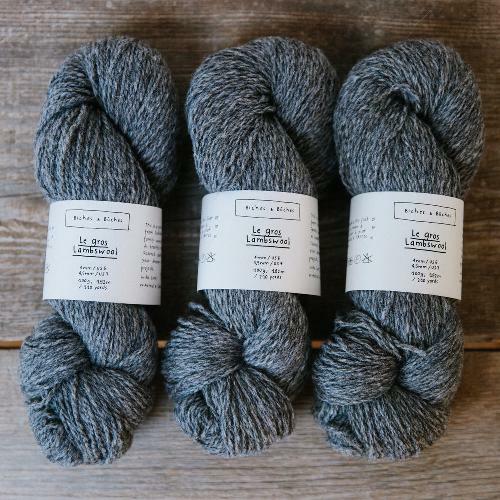 The yarn quality is beautiful, presented in a way that feels like home.